There is a gene called CCR5 that can have a variation that prevents AIDS. You need to have two copies, one from each parent, to be immune to AIDS. If you have only one copy, your resistance is increased. The current theory is that this mutation became prevalent in Europeans after the ravages of smallpox or perhaps the Black Death and was selected for, since it is presumed protective against those diseases. It is more frequent in Northern Europe than Southern, but is found as far south as North Africa. The down side is that this CCR5 change may increase your risk of an abdominal aortic aneurysm and put you at risk for complications from various viruses like West Nile or tick born encephaliitis. Wikipedia has an excellent and detailed article about CCR5 here. This AIDs protective variation is actually the loss of 32 alleles (so it is called delta 32) on chromosome 3 at location 46414947. It is that change that the Genetics researcher He Jiankui claims to have made on two embryos in China using CRISPR technology which has caused such an uproar around the world. Click here for the NPR article about that which mentions that their father is HIV positive. 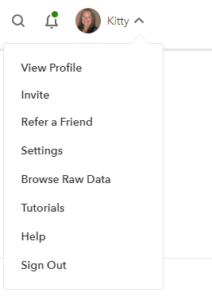 Click on your name or image on the top left of any page at 23andme to get a drop down menu. 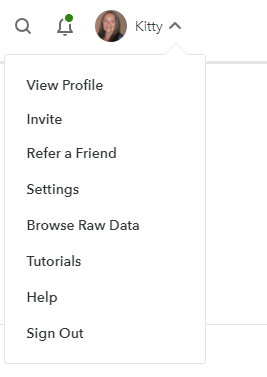 Then click on Browse Raw Data in that menu. On the raw data page type i3003626 into the large box above the chromosome picture then click the enter key. Here are examples of what you might see. Interesting. I didn’t do the 23andMe health test but uploaded my results to Promethease. My results said that while I’m not immune to HIV I have greater resistance to AIDS than most other people. I wonder if this is connected. 23andMe does say that I have more Neanderthal DNA than most testers. I read recently that Neanderthals would have had immunities or resistance to HIV. As far as I can tell from looking at the raw data, only 23andme tests for Delta32 but there are other variants which confer resistance. I was so surprised to see your post about this. I too have two copies! My ancestors are from Northern Ireland. I tried to research it but found little information other then what you have found. I wonder if having two copies would reveal any genealogy lines. I thought I read one 1 % of the population has 2 copies. I don’t know that I have 2 copies, but I may have 1 as I’m apparently not immune, but would have a slower progression to AIDS. My father’s ancestors were from Northern Ireland. All that can tell you is that each of your parents had at least one copy which is not much help for genealogy. Isn’t following a genealogy line for AIDS resistant genes really creeping? There are no HIPPA laws protecting anyone. Does this mean that you are less receptive? Or more? What is unclear about “This AIDs protective variation is actually the loss of 32 alleles”? Therefore no deletes = no immunity from this particular genetic variation. Received a bone marrow transplant to address Hodgkin’s lymphoma. The donor had, you guessed it, both copies of the CCR5 mutation. I have ccr5 delta-32. I am a gay man 70 years old I have a lover that is HIV positive. Well that is a lucky mutation for you to have then. I removed your email address from your post because I like to preserve privacy but if you really want the spam you will get, I can put it back!